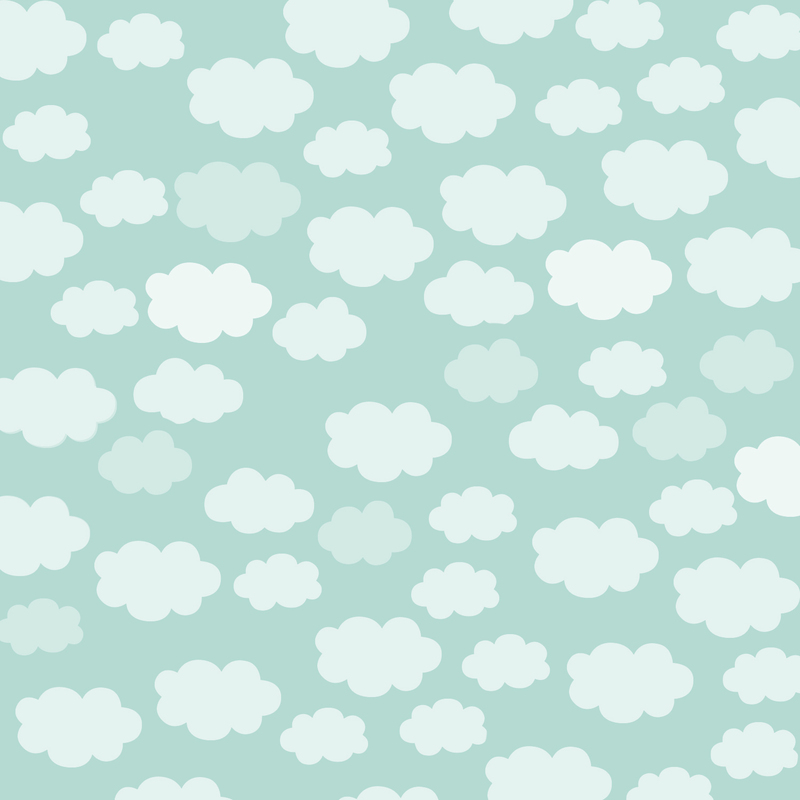 The sun is finally shining and its time to stock up on those summery colours! 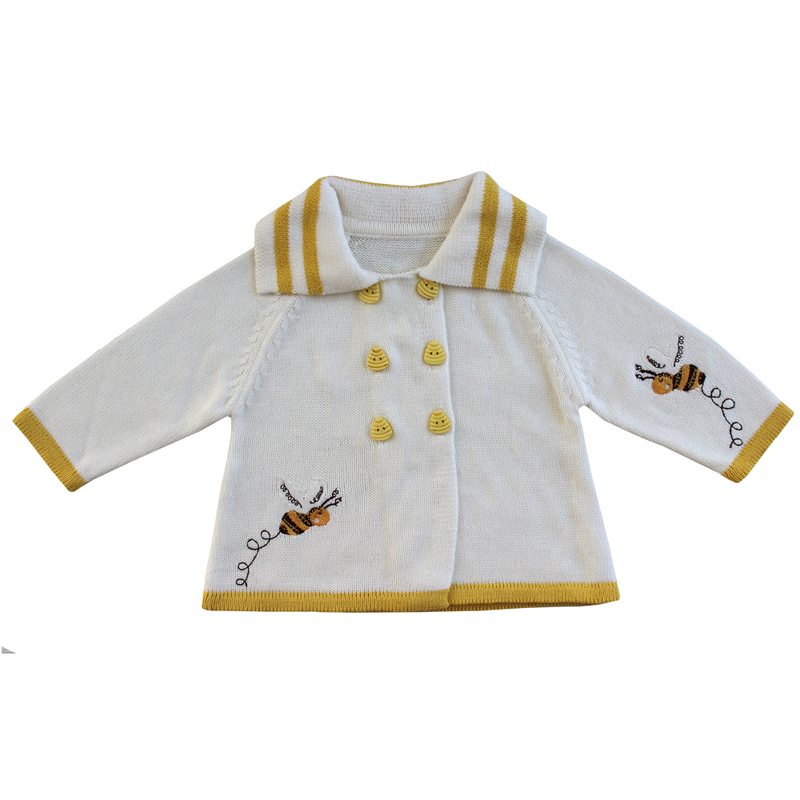 Pieces made with 100% cotton, stunning embroidered detailing, and range in sizes 6-12m, 12-18m and 18-24 months. 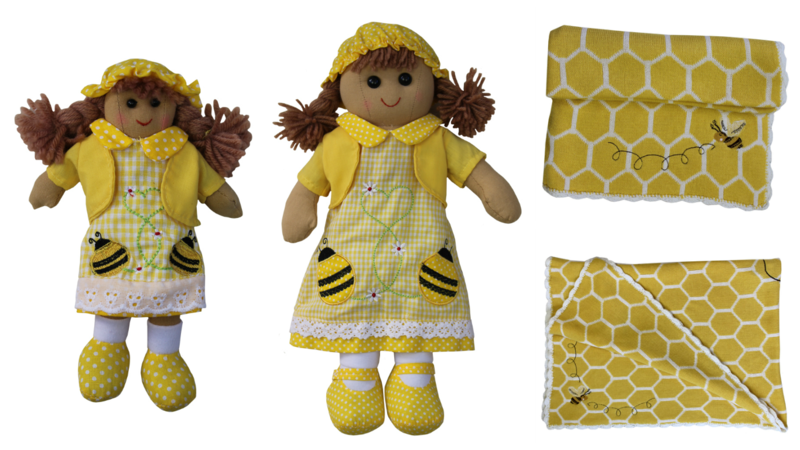 Our yellow checked romper with bumble bee embroidery, lace trimmed frill and bows on the straps. 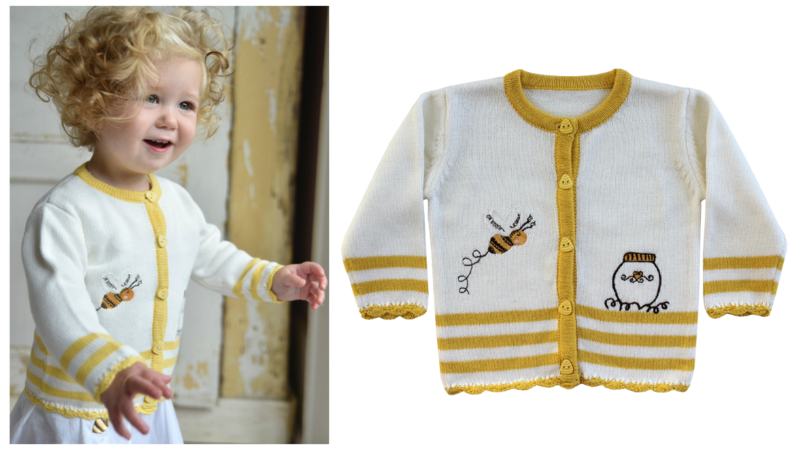 White cardigan with yellow stripes bumble bee embroidered motifs, yellow trims and yellow flower buttons. 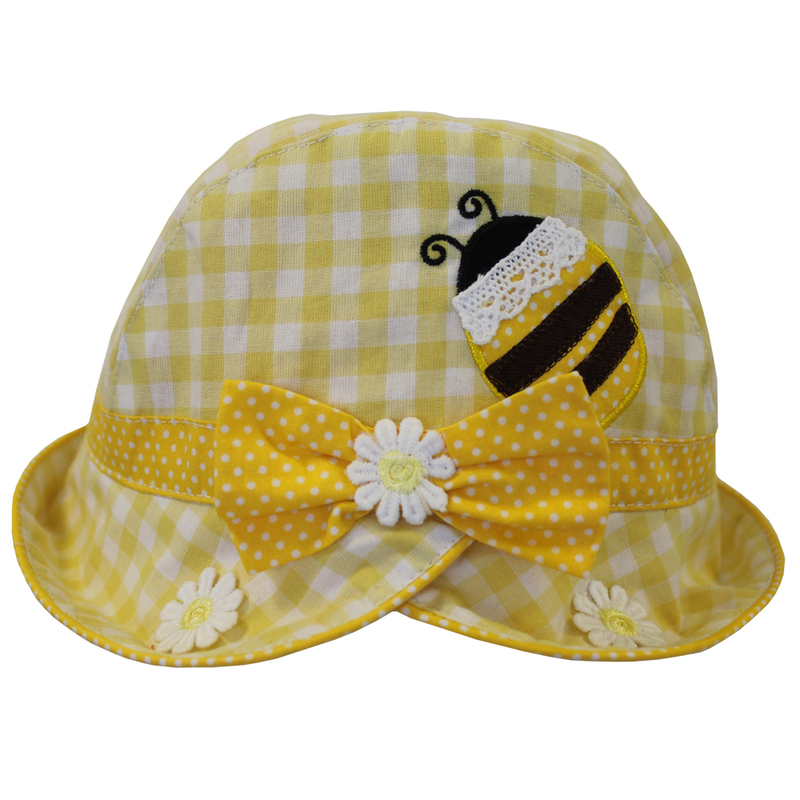 Sweet yellow checked hat with bumble bee embroidery and yellow polka dot trim with daisies. 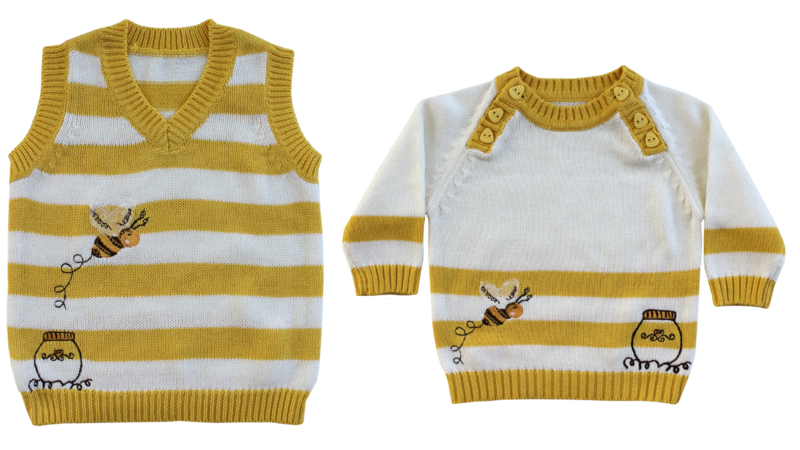 Our Bumble Bee knitted tank top and yellow and white knitted jumper. 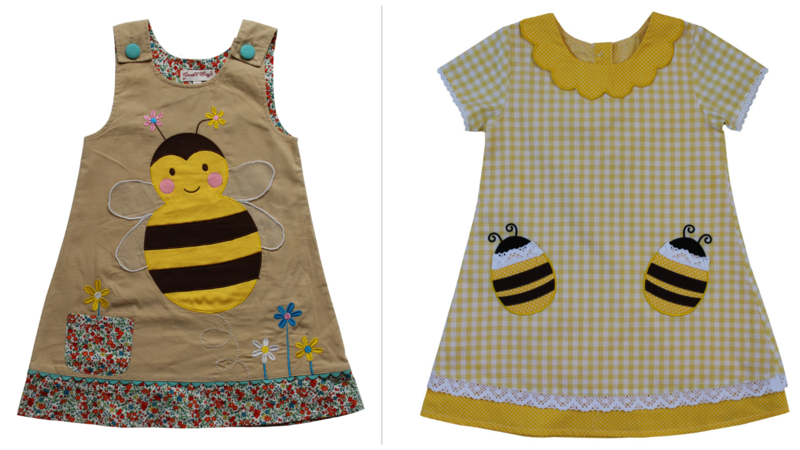 Our beige cord dress and lemon check bumble bee dress. Long sleeve and sleeveless jumpsuits. 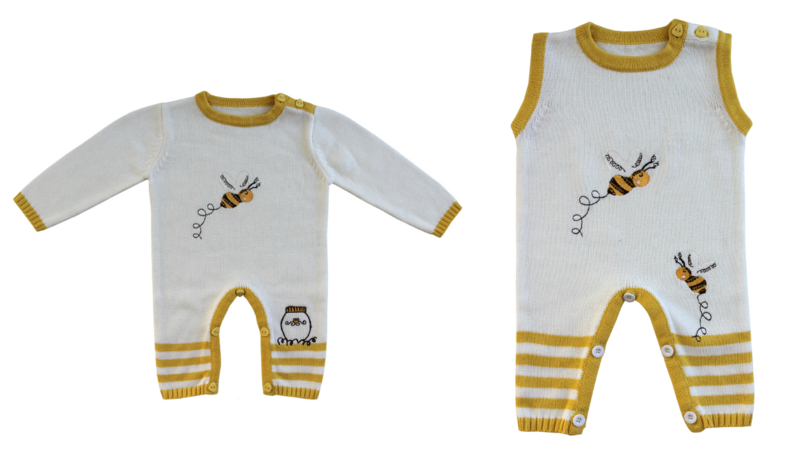 Our mini 20 cm bumble bee ragdoll and 40cm ragdoll and cot and pram blanket.